As easy as the drive to Sligo had been, the drive in Sligo looking for our hotel was difficult. 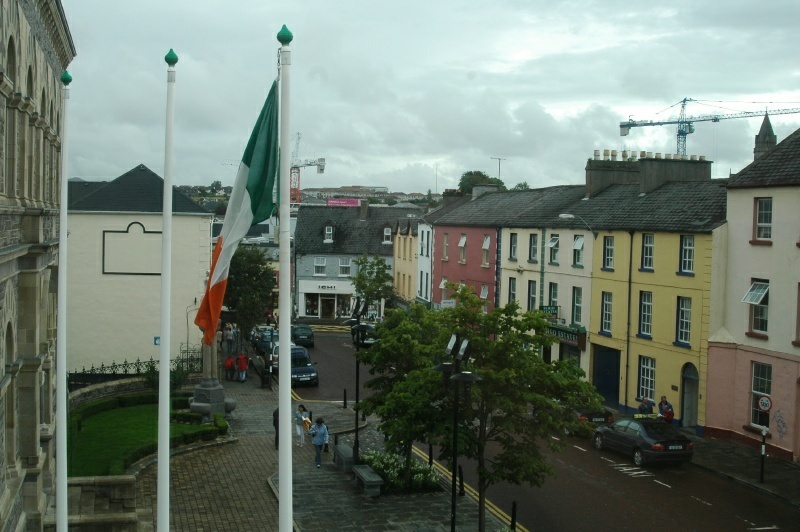 The typical Irish lack of street signs combined with gridlock traffic made for a frustrating time of about an hour, but we ultimately found the Sligo City Hotel – as this picture from one of our windows shows. Note the two construction cranes in the background; everywhere in Ireland seems to be undergoing a building boom in 2006.